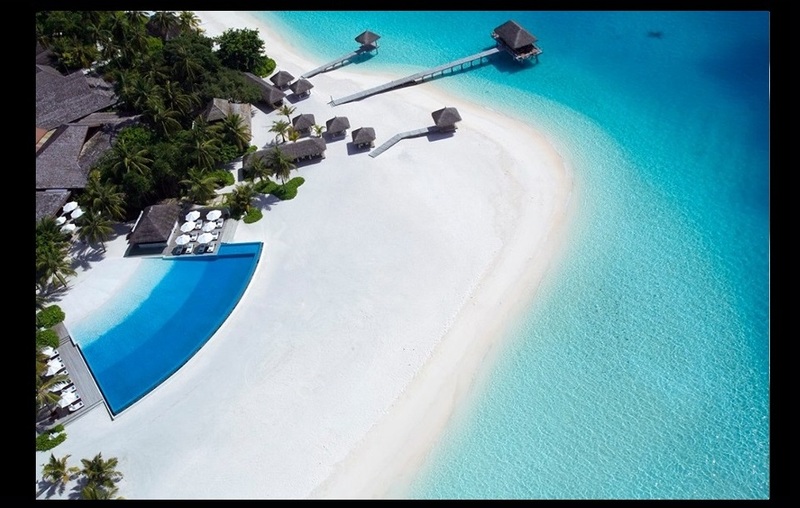 In Maldives we have really amazing pools that look like natural lagoons fading into the deep blue ocean. A piece of furniture that matches the same concept has now been invented by a company in Caribbean island of Saint Martin. 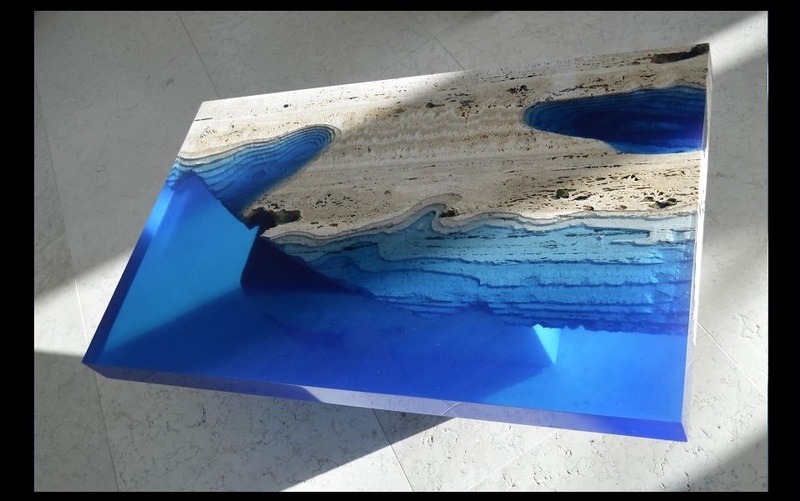 LA TABLE uses the concept that combines marble with resin that gives a beautiful finish with amazing colours. 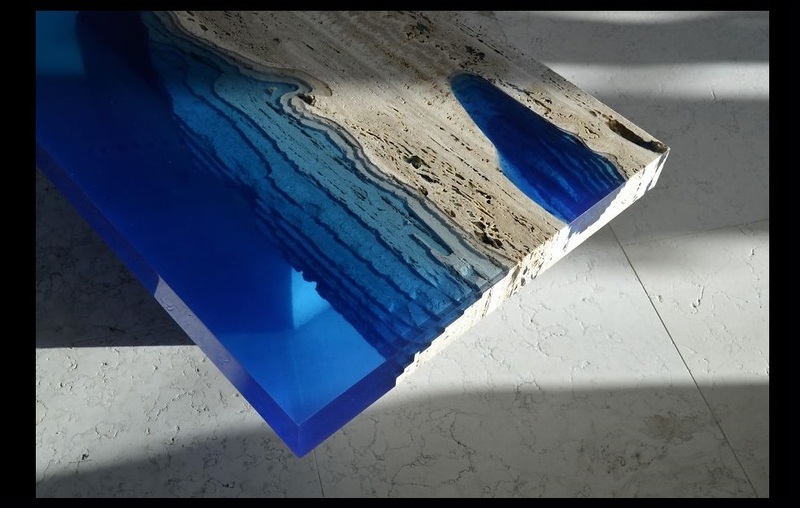 The marble in the table top depicts a slice of drift wood with holes insides and uneven edges that gets filled by matching colour of resin producing a glowing smooth surface. 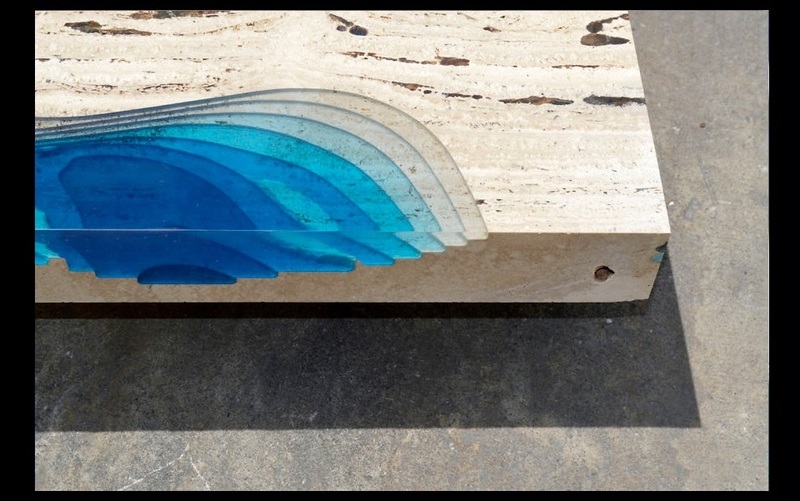 The blue resign combined with rustic natural marble is called Lagoon Table. No doubt, there is no better name for this! This could be the best surface for a pool side table, especially when you already have a pool that fades away the blue like a natural lagoon. 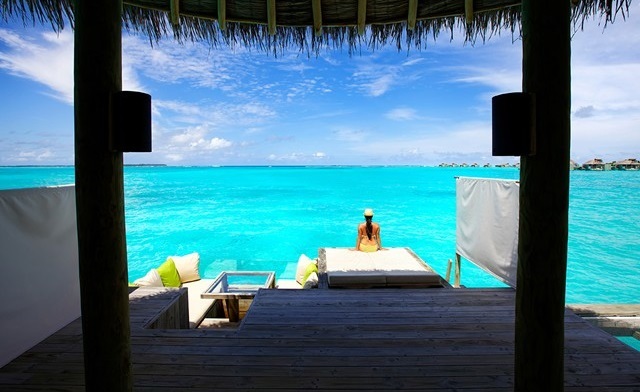 If you have been to Velassaru Maldives you can't possible forget the swimming pool. It is one of the best and most popular photo spots in the island. The missing piece is this Lagoon Table. Let's see some pictures of both.